While winter has not yet come to an end, it sure doesn't feel like it when you walk into the stores. Spring has sprung in retailers everywhere, and those days of sunshine and tulips will be here before we know it. To get you ready (and feeling like your most stylish self) we hand-selected five key trend pieces to buy now. Depending on how much you rely on trends, you may have invested in some of them already — like vintage-inspired Levi's jeans or a pajama top to wear out of the house. The best news is that you can work any of these pieces into your winter wardrobe, too — just layer up! If you're in need of a pair of jeans to completely transform your denim game for the coming seasons (that you an also wear now), all you have to do is look backwards. Vintage and reworked styles are the most popular jeans of the moment, and Levi's has reimagined their most iconic silhouette of jeans in a skinner, more universal fit, that — you guessed it — is ultra-flattering. These jeans are great if you want to let your ankles show a bit (with sneakers or ankle boots) or go for a quirkier look and allow a peek of printed socks show — think of it like an updated version of "nerd chic." When things really warm up in April and May, pair them with open-toe mules and slides. 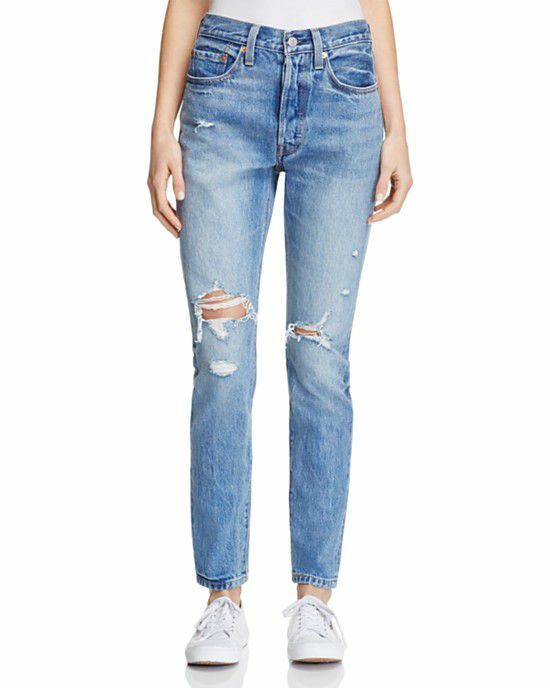 Get the look: Levi's 501 skinny jeans, $98. Did you know that Gucci sells an embroidered hooded sweatshirt for $4,500? It's true. The lowly hooded sweatshirt has gotten the high fashion treatment (blame it on reaching the apex of the athleisure movement). To make this sweatshirt look stylish rather that schleppy, it's all about how you dress it up. There's no need to spend big on your hoodie — places like Gap, Old Navy, Forever 21, and Champion make easy, affordable options. Wear yours with cropped flare jeans, mules, and then a leather jacket over it. Wear it out for drinks with statement earrings! Get the look: Topshop hoodie, $40. The idea of wearing your sleepwear out of the house might sound intimidating at first, but it's not as weird as it might seem. All you really need to make this trend work is to take the thing that's labeled as "pajamas" out of context. 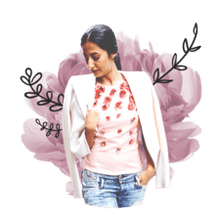 As soon as you take a silky button-up nightshirt in a colorful print and pair it with jeans or a cool skirt, suddenly it doesn't look like you wore your actual pajamas to the office or brunch with your girlfriends. For example, we love the idea of wearing this J. Crew silk pajama-style top with sandals and jeans. However, if you want to embrace the trend fully and add the matching pants, we're all about that, too! An untucked pajama shirt paired with wide leg trousers and a great pair of earrings and heels is the ultimate lazy girl's night out look. Get the look: J. Crew silk pajama shirt, $128. Dainty personal jewelry has remained the dominant jewelry trend over the past couple of years, and we don't really see it going anywhere anytime soon. Within that, micro-trends have been popping up and growing — like the return of tiny, delicate hoop earrings. We love this look — especially when worn with multiple other earrings. Try rose gold hoops with tiny pave stones, or if you're feeling really bold, just a single hoop with a dangling charm, like this one from Ileana Makri. Get the look: Cloverpost hug hoop earrings, $110. Embroidery is one of the biggest trends for spring 2018. We've seen it on everything from blouses to bags, jeans, dresses, shoes, and sweatshirts. We love this look because it provides a pretty, feminine balance to all the sharp contemporary silhouettes, monochromatic looks and yes, athleisure. Lovely embroidered pieces can be worn with almost anything — balance the airy vibe with crisp trousers or pointed-toe pumps... Or lean into the boho feel with flare jeans, layer on the beaded jewelry and throw on a straw hat! Get the look: Zara dress, $100.